Dress up your shop, office or display quickly and elegantly. If you are looking to make a great impression with clients or at your next event or exhibition, block mounted prints are a great way to help dress up your display, or implement signage fast. 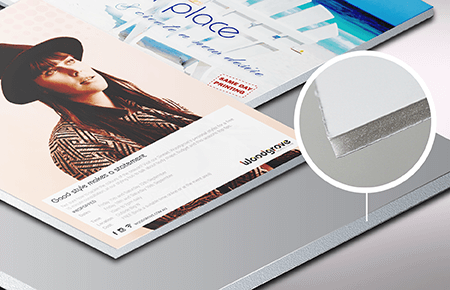 Ensure your Block Mounts get printed quickly and accurately, on a board that suits your project, and are dispatched on time with Same Day Printing. A lightweight, 5mm soft core, white mount substrate. Very light, but easily dented, so not recommended for graphics that will travel, receive significant handling, or be exposed to temperature extremes. A light but durable 5mm poloyprop sheet. The surface has a slight ripple, so it is not recommended for decor images, but is perfect for temporary outdoor, directional and workplace safety signage. A strong 3mm smooth white plastic. 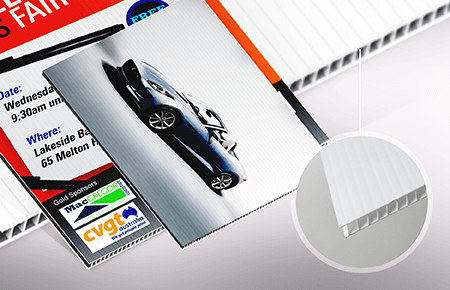 Foamed PVC has an elegant slimline finish, is not affected by humidity, and travels well. Great for longer term internal and external graphics and signage. Need mounted signage or wall-prints. We can print and dispatch yours today! Get your Blockmounted prints organised as quickly as today. Ensure your mounted wall prints or signage is printed quickly and accurately on quality stock and dispatched on time with Same Day Printing. Simply let us know your requirements in the business card quote form above, and we’ll be back to you within 2 business hours – usually sooner. 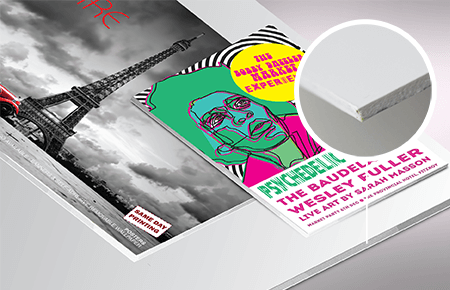 Select from a variety of mounting substrates and finishes, create exactly what you have in mind. – If you have questions, call us to discuss your requirements – phone 1300 663 242.